Since it was first published in 1995, The Wounded Storyteller has occupied a unique place in the body of work on illness. Both the collective portrait of a so-called “remission society” of those who suffer from some type of illness or disability and a cogent analysis of their stories within a larger framework of narrative theory, Arthur W. Frank’s book has reached a large and diverse readership including the ill, medical professionals, and scholars of literary theory. Drawing on the work of authors such as Oliver Sacks, Anatole Broyard, Norman Cousins, and Audre Lorde, as well as from people he met during the years he spent among different illness groups, Frank recounts a stirring collection of illness stories, ranging from the well-known—Gilda Radner’s battle with ovarian cancer—to the private testimonials of people with cancer, chronic fatigue syndrome, and disabilities. Their stories are more than accounts of personal suffering: they abound with moral choices and point to a social ethic. In this new edition Frank adds a preface describing the personal and cultural times when the first edition was written. His new afterword extends the book’s argument significantly, writing about storytelling and experience, other modes of illness narration, and a version of hope that is both realistic and aspirational. Reflecting on both his own life during the creation of the first edition and the conclusions of the book itself, Frank reminds us of the power of storytelling as way to understanding our own suffering. "Frank sees the value of illness narratives not so much in solving clinical conundrums as in addressing the question of how to live a good life." 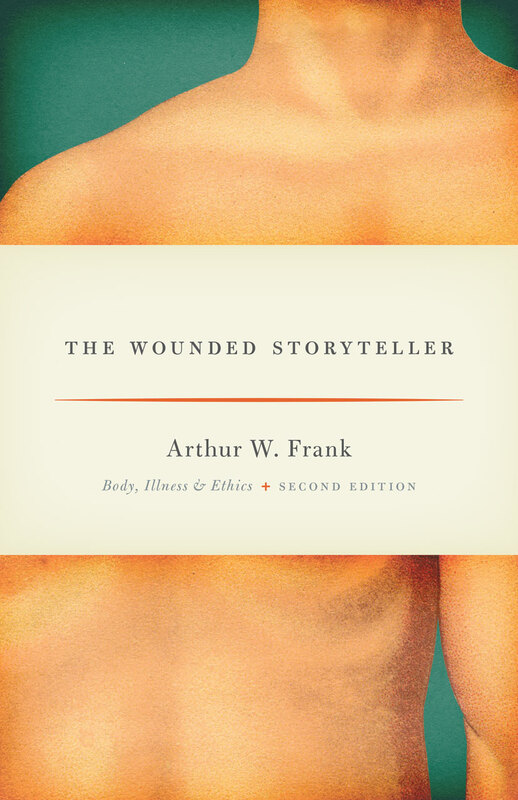 "Arthur Frank’s writings on illness and the body transcend the barriers of academic and professional disciplines, making them uniquely relevant to a wide variety of audiences: clinicians, ethicists, sociologists, scholars in the humanities and human sciences, those engaged in medical education, caregivers, and (always) the never-to-be-forgotten community of the ill."
Rita Charon | author of "Narrative Medicine: Honoring the Stories of Illness"
Larry R. Churchill | author of "Healers: Extraordinary Clinicians at Work"
David B. Morris | author of "The Culture of Pain"